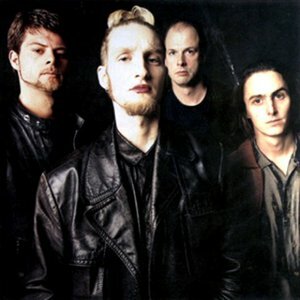 Formed in late 1994, Mad Season was a Seattle grunge supergroup, made up of members from Pearl Jam, Screaming Trees, The Walkabouts and Alice in Chains. Their one album, Above, was released in 1995. The band went on permanent hiatus in 1996. Although not officially members of the band, Mark Lanegan of Screaming Trees performed vocals on I'm Above and Long Gone Day, and Skerik of Critters Buggin, Les Claypool's Fancy Band and The Meters (among others) performed saxophone on Long Gone Day. Although not officially members of the band, Mark Lanegan of Screaming Trees performed vocals on I'm Above and Long Gone Day, and Skerik of Critters Buggin, Les Claypool's Fancy Band and The Meters (among others) performed saxophone on Long Gone Day. Two of the band's members have since passed away. Layne Staley (of Alice In Chains) died of an overdose of cocaine and heroin (A.K.A. a 'speedball') in April of 2002 and bassist John Baker Saunders died of a Heroin overdose in 1999.